Now that NASA’s New Horizon spacecraft has given a thorough view of Pluto, the probe is on its way to a mysterious ice ball deep in the Kuiper Belt in the outer solar system. 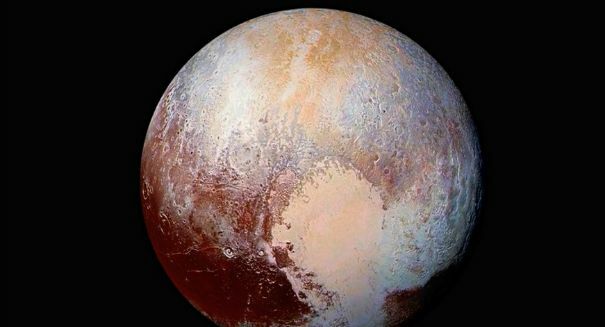 New Horizons made headlines in recent months with its jaw-dropping images of the tiny former planet we call Pluto, including a picture of a heart-shape on its surface that instantly endeared it to the world. Now that New Horizons has moved on, NASA is looking ahead to the next object: an icy body that has been dubbed 2014 MU69, according to a New York Times report. New Horizons captured a huge amount of photographs and data when it flew past Pluto, which is still being sent back piecemeal to Earth, and scientists are hoping it will do the same with this strange icy body when it reaches it in 2019. The object won’t have the amazing and varied vistas of Pluto, it would still provide a close-up look at the debris beyond Neptune in what is known as the Kuiper belt, which is left over from the formation of the solar system and could provide incredible insight into the formation of planets. New Horizons has already made an incredible journey, traveling an astonishing three billion miles from the sun. And it has a long way to go to get to 2014 MU69, which is another billion miles past Pluto. Pluto is the largest object in the Kuiper belt. Flying past 2014 MU69 would give scientists a good idea of the makeup of a more intermediate-sized Kuiper belt object, which would help scientists collect the dots on understanding the belt in more detail. The research team used the Hubble Space Telescope to look for other objects for New Horizons to explore, and they met and settled on 2014 Mu69, which was a bit smaller than another object they were looking at but much more reachable.